I know the title of this post probably sounds really weird, but trust me on this! I have been seeing this idea all over Pinterest & “Blogtown”. Honestly it’s brilliant. It’s inexpensive, recycled wood – so it’s Eco-Friendly and gorgeous! I always like incorporating a little rustic into a space. Adding a natural element seems to make a space feel more grounded and homey. Idk, maybe that’s just me. 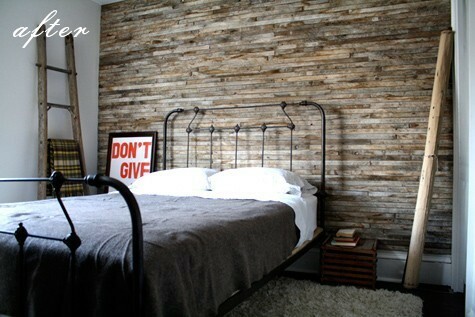 These walls are made out of FREE wood pallets!! Loving this beachy shabby chic look. To achieve the whitewashed shabby look, brush over the pallets with something like this and then lightly sand with 60 grit sandpaper. You might want to water down the white wash stain, depending on the look you want. This tutorial shows you how to create a wood pallet wall & the weathered/white washed look. They did an incredible job. This darker wood makes the whole room into a masculine and edgy boy room. Love it. Wood pallets are typically FREE, just call around your local area! 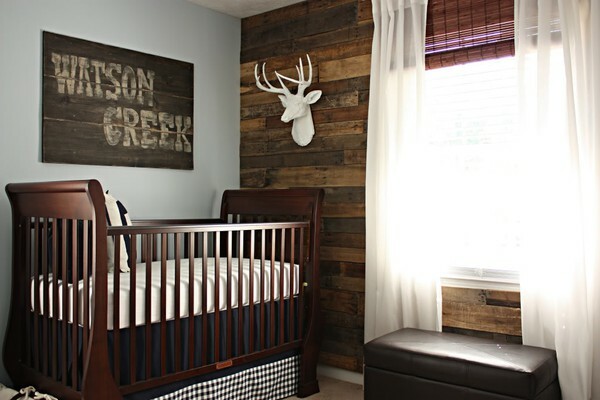 This adorable baby boy nursery is the cutest! 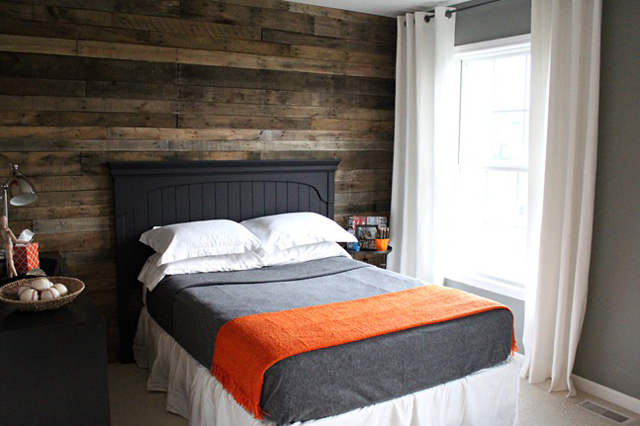 This Blog has a really good pallet accent wall tutorial as well & great safety tips. I am highly obsessed with The Lettered Cottage. See how they re-did their reading room. Simply amazing. I love how the room looks like it’s right out of a Pottery Barn catalog!! 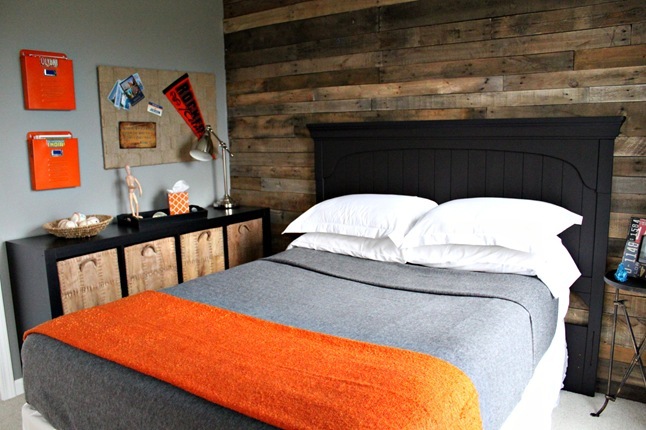 Can you believe creating a wood pallet accent wall is cheaper than painting?!? Not to mention it looks like it’s a billion times more expensive than it actually is. By the way, this would absolutely increase the value of your home. Just in case you were wondering.